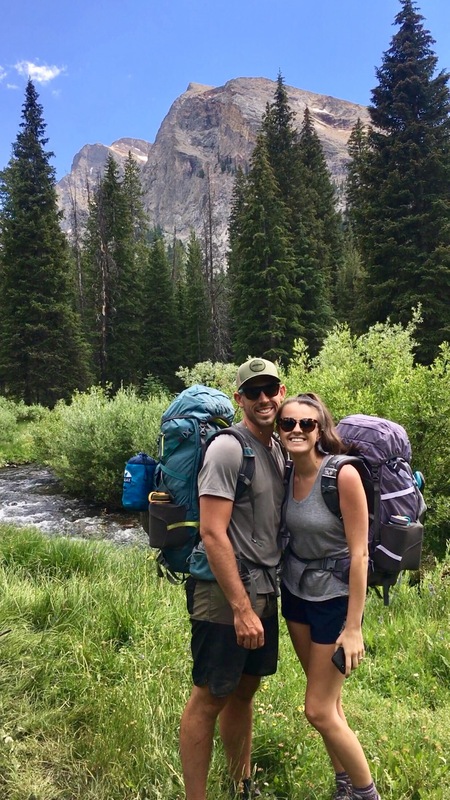 Lauren made her move from St. Louis, Missouri to the Wood River Valley in October of 2017. 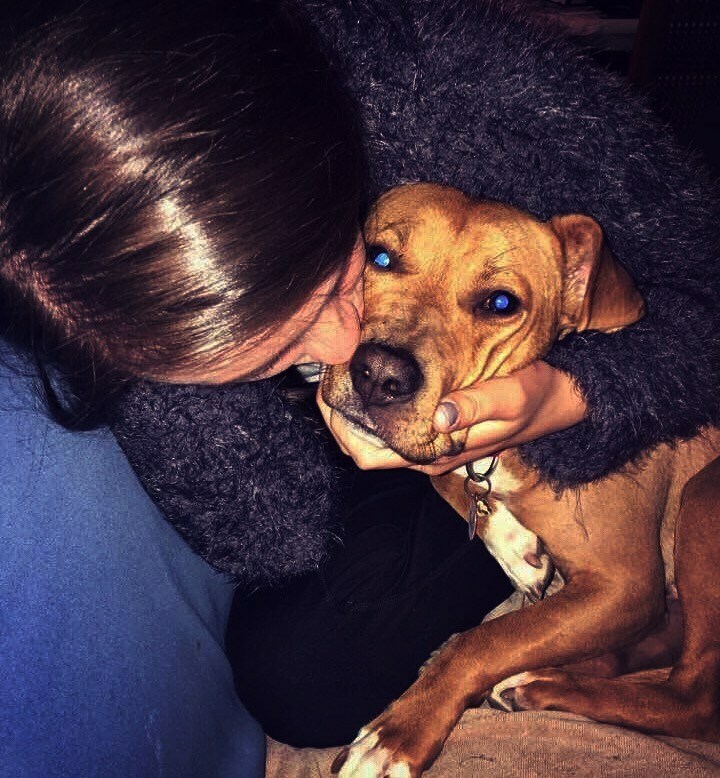 She immediately began her journey as an adoption counselor at Mountain Humane and has loved every minute since! 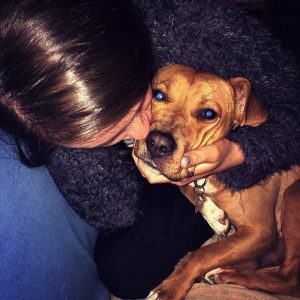 She has found the most fulfilling part of her job to be connecting shelter dogs and cats with their perfect families. Lauren has always loved animals, but never truly understood how many special pets were out there until her first personal shelter experience. Her family adopted their first shelter puppy, Tucker, in 2016 and it was the best decision they ever made. 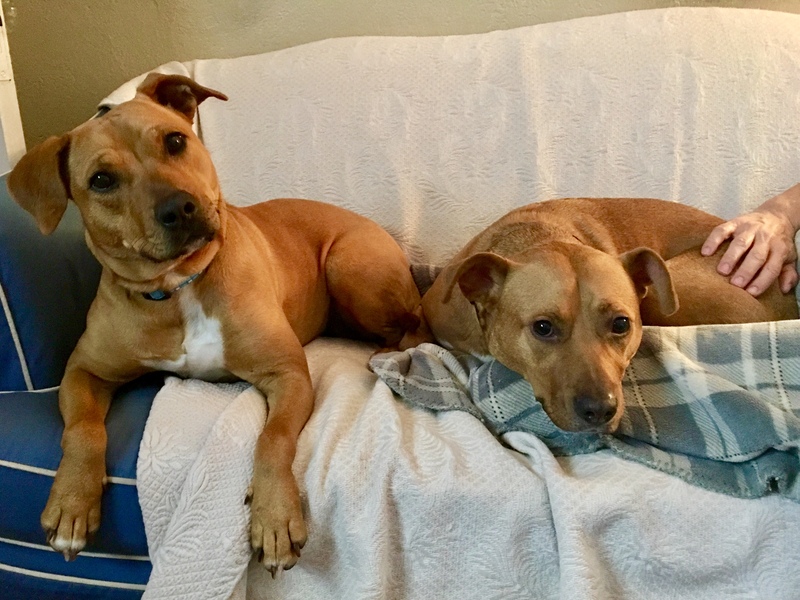 Fast forward to the fall of 2018 – Lauren quickly fell in love with Mountain Humane resident, Belle, who looked like she could be Tucker’s long-lost sister! Belle then got to come along on a 24-hour car ride to St. Louis so she could live happily ever after with Lauren’s parents and her new big brother! Tuck and Belle instantly became the best of friends (as pictured below) and are just the sweetest, goofiest duo. Lauren currently lives in Elkhorn with her husband, Justin. Justin is a 2nd Lieutenant in the Idaho Army National Guard and works full-time on the military team at Higher Ground. 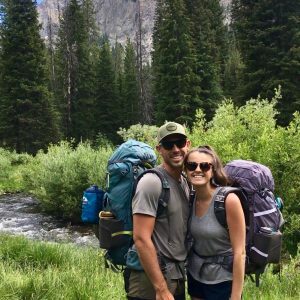 In their free time, Lauren and Justin love to travel, play tennis, camp, hike, bike, and explore the beautiful state that they call home. Although they had to leave their pets back home with their families, Lauren and Justin love to take every opportunity to foster shelter dogs at night. 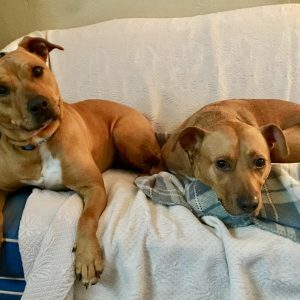 It is the most rewarding feeling in the world to share their warm, cozy bed with a dog in search of their forever home – even when the dogs are bed hogs (which they usually are). It’s only a matter of time before they cave and adopt a shelter dog of their own!